Women carry more fat around their hips and thighs than men do. Women have less supportive connective tissue to keep everything in the right place. Hormones play a role in the appearance of cellulite. As women get older they produce less oestrogen which can lead to more cellulite. 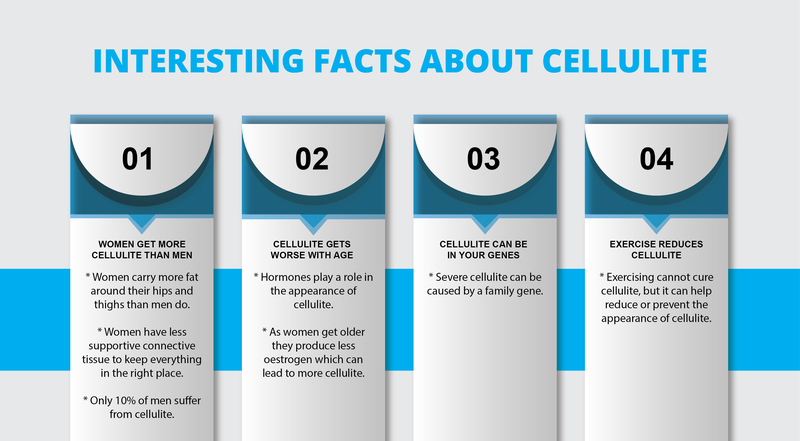 Severe cellulite can be caused by a family gene. Exercising cannot cure cellulite, but it can help reduce or prevent the appearance of cellulite. Do you have the struggle of cellulite? Contact Fourways Aesthetic Centre today for specialists services in needle-less cellulite treatment.